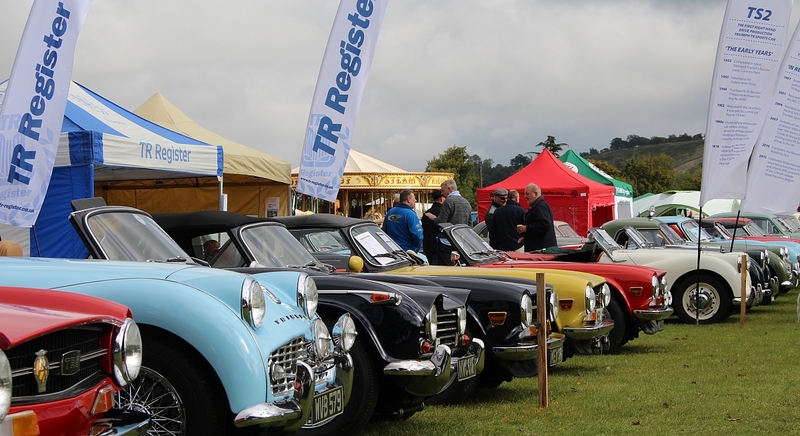 The TR Register's Chiltern area cook up a storm at Kop Hillclimb. 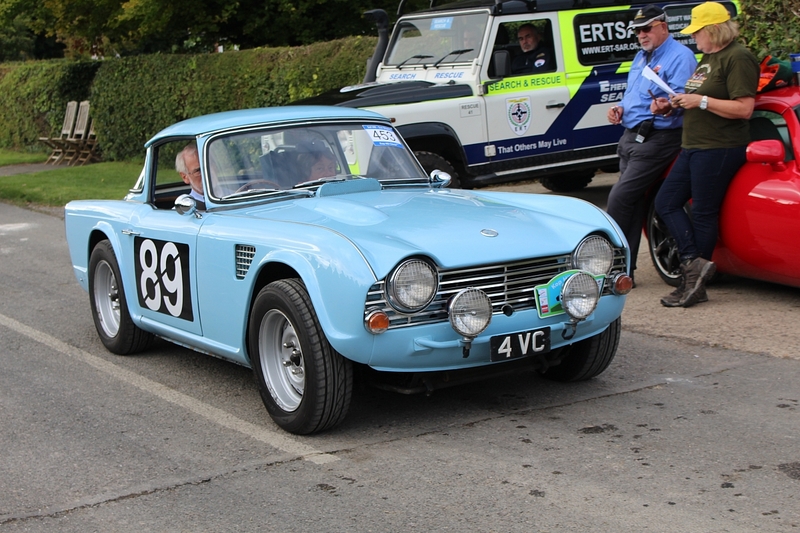 On - board video of the ex-works TR4, 4VC taking on the hill. 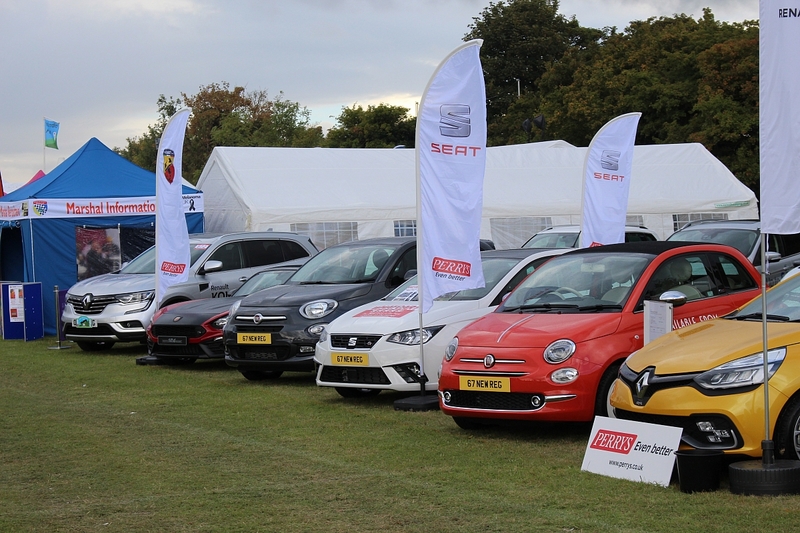 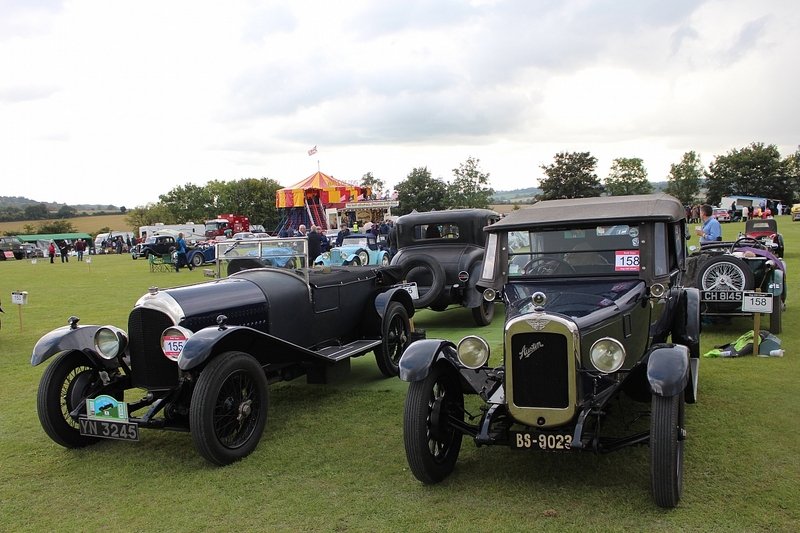 Kop Hill in Princes Risborough played host to an impressive array of cars and bikes over the weekend of the 16th/17th September, all brought together to commemorate the early 1900's hill climb venue whilst raising vital funds for local charitable causes. 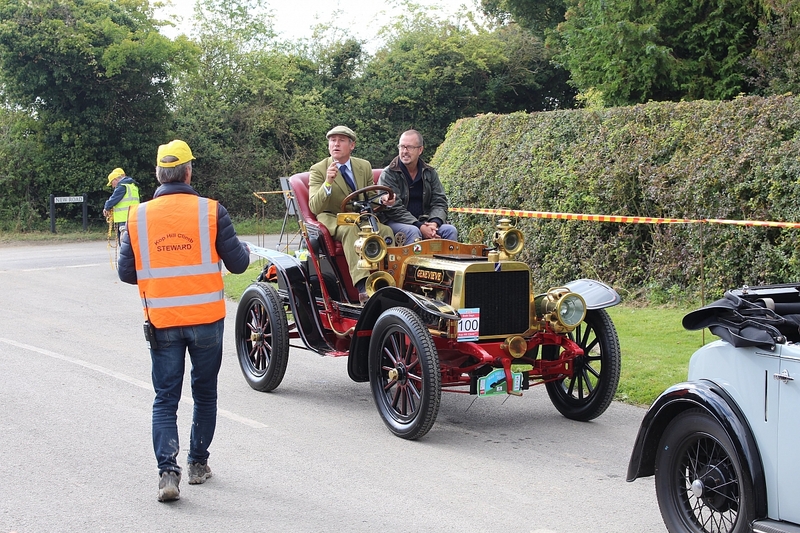 The star of the show was undoubtedly Genevieve, the star of the 1950's film, and a regular participant in the London to Brighton Veteran Car Run, kindly brought to Kop Hill Climb by Quirina Louwman. 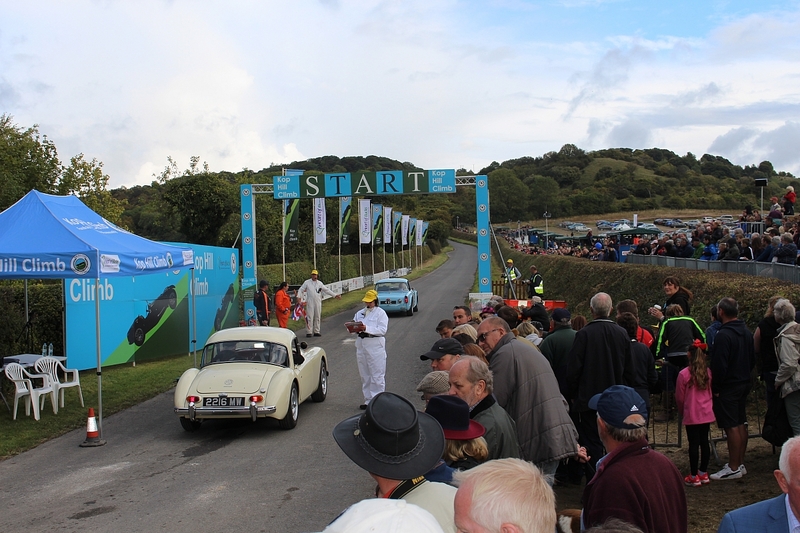 From the sublime to the ridiculous Genevieve was followed on her run up the historic hill by none other than Edd China, formerly of Wheeler Dealers, and his Casual Lofa sofa. 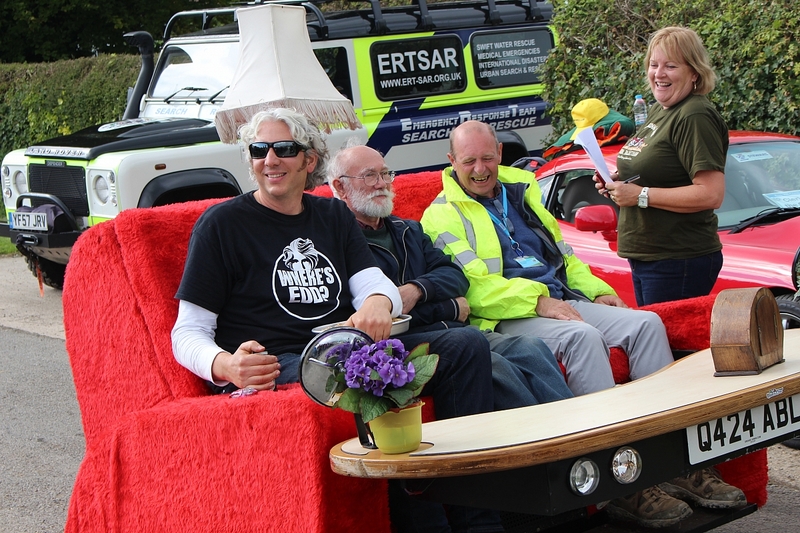 The crowds couldn't believe their eyes when the road legal sofa for three, complete with pizza dish steering wheel and flower pot indicators took a run. 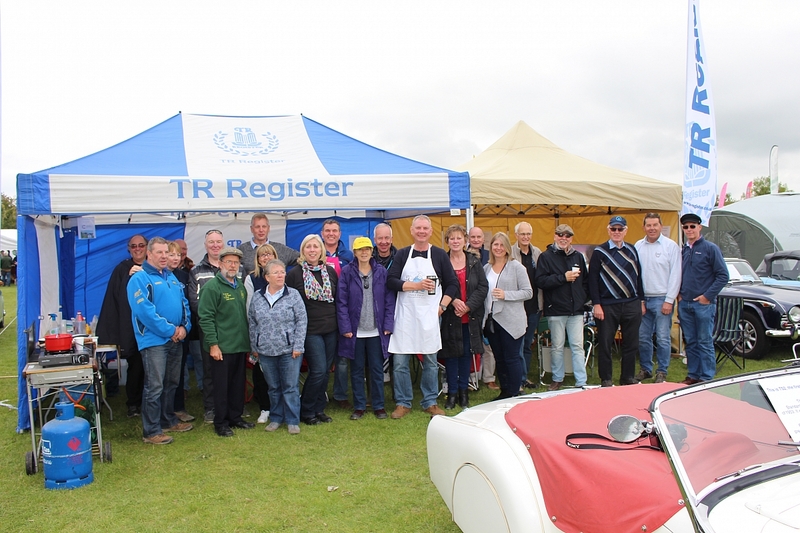 The TR Register Car Club's presence was taken care of by local area, Chiltern Group. 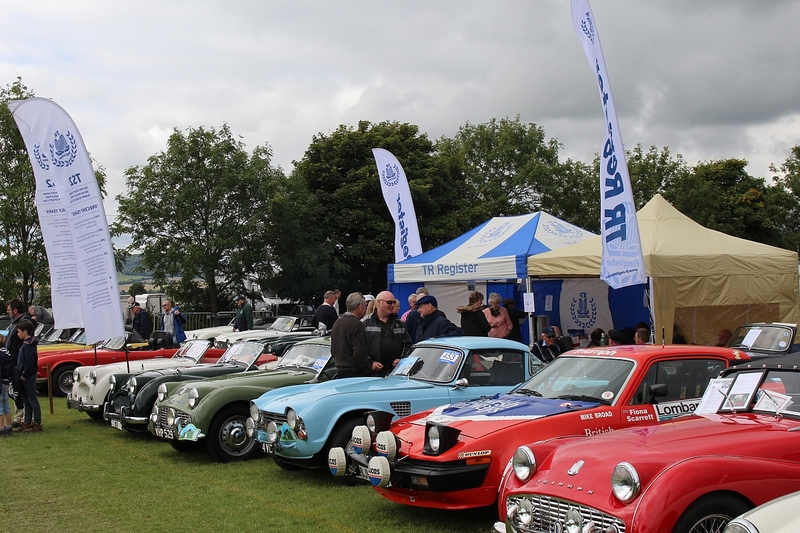 The group have been a major attraction at the show for a number of years and their attendance at this event grows year on year. 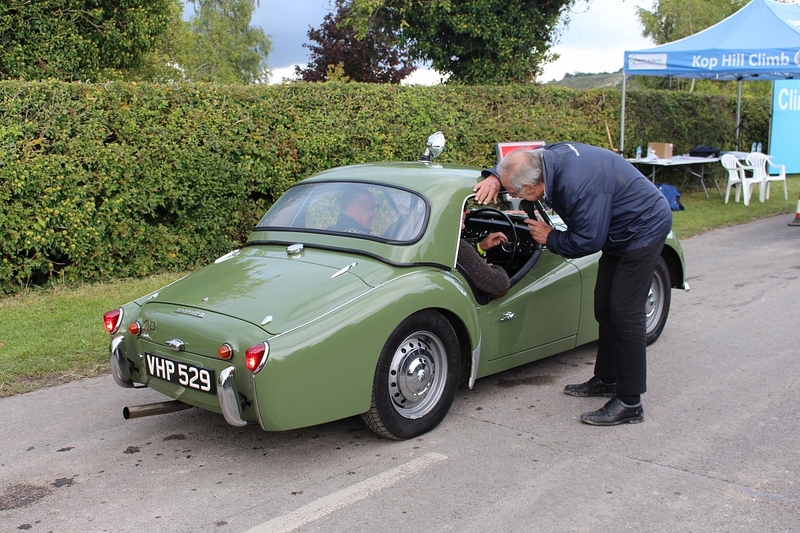 This growth has been helped in no small part by the gorup BBQ, fronted by Dave Broomhead. 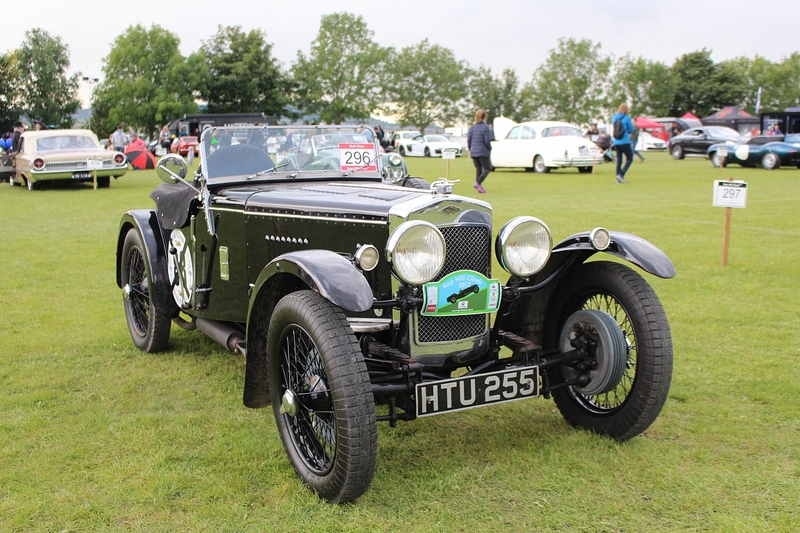 For a donation to charity all club members are fed and watered for the day with an impressive cooked breakfast, cooked lunch and afternoon cake. 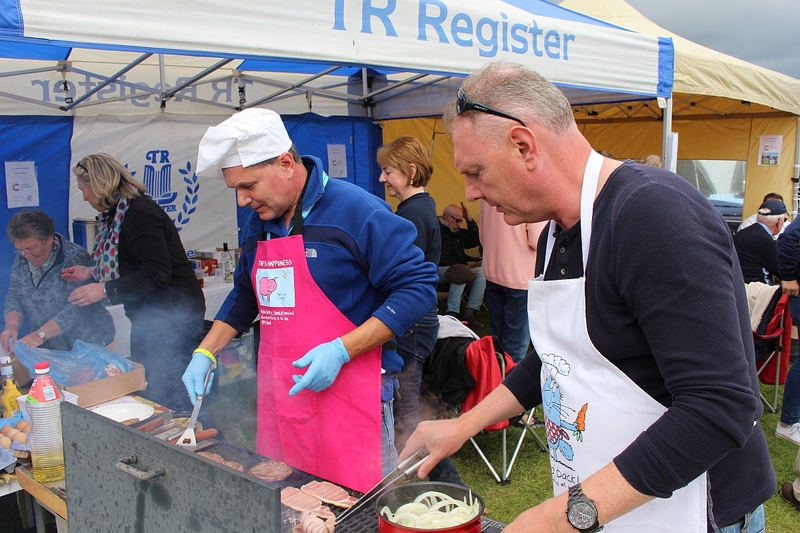 Put it this way, join these guys and you won't need dinner! 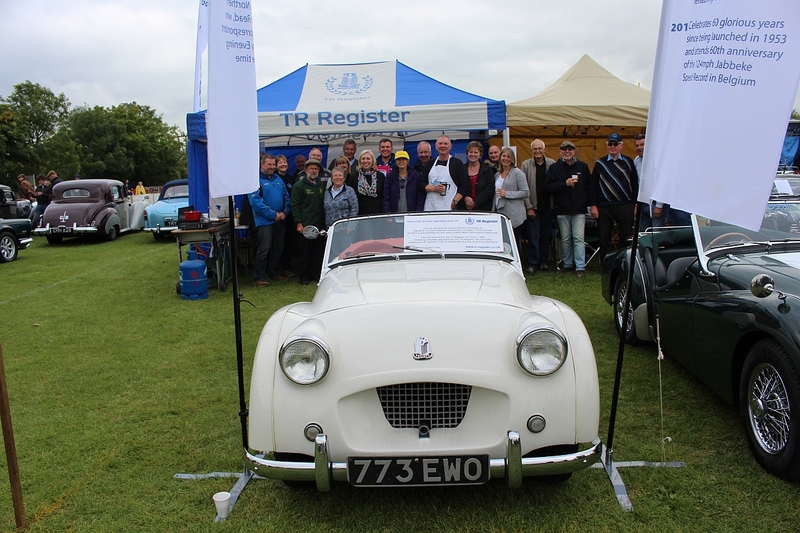 Vehicles of special interest on the Chiltern TR Register group stand included the ex-works TR4 rally car, 4VC or Ian Cornish. 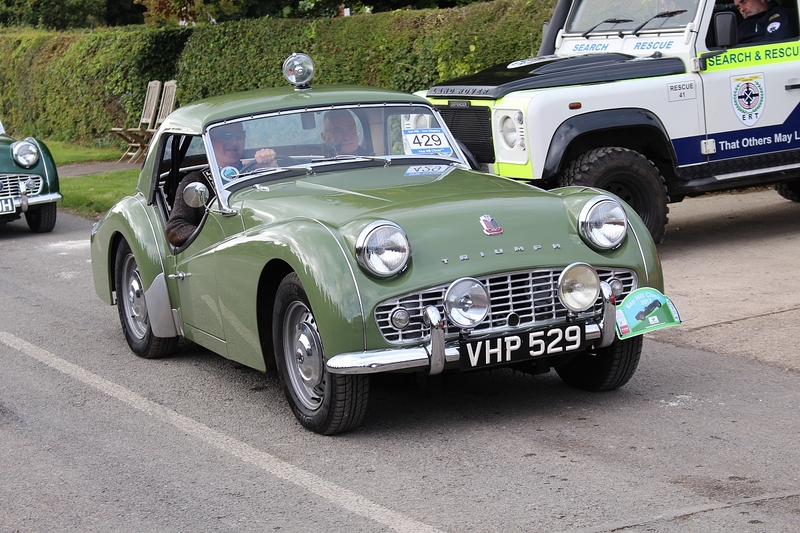 An ex-works TR3A previously owned by Ken Richardson and of course, TS2 the first right hand drive TR2 built which was brought to the event by the club's press officer Wayne Scott. 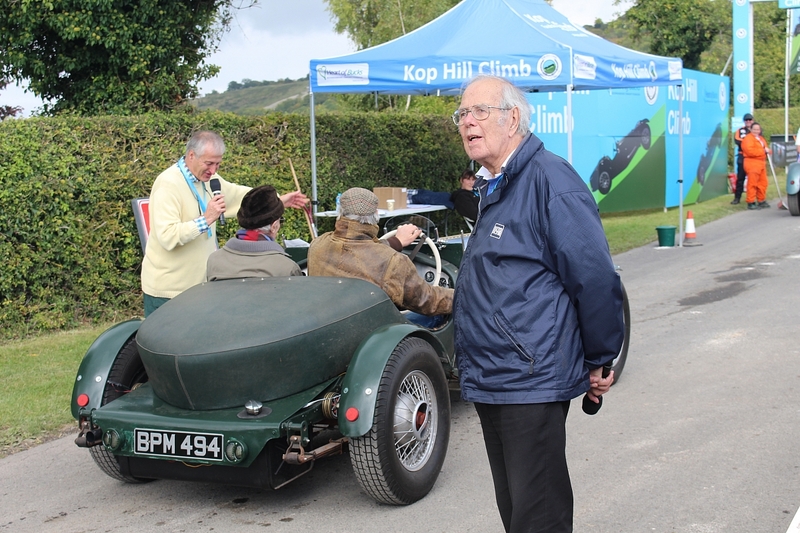 Historian and TR Register Honorary President, Graham Robson was on hand at the foot of Kop Hill throughout the weekend providing the commentary each day in his inimitable style. 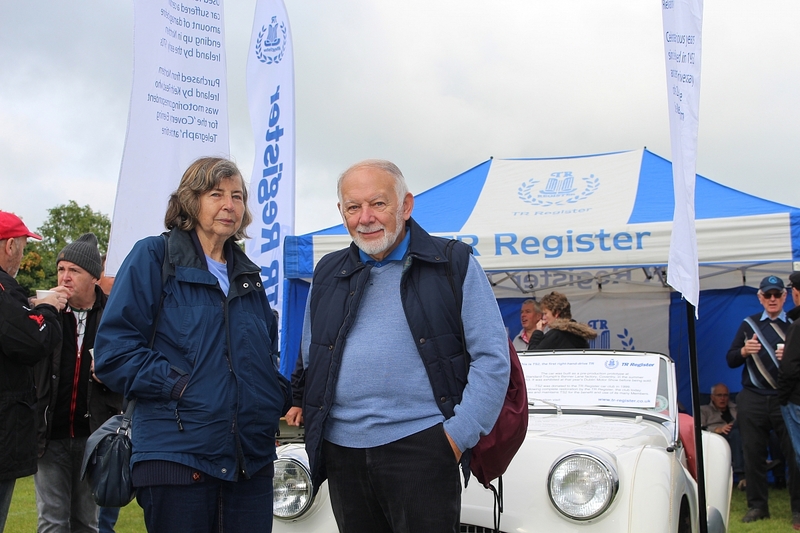 A very special couple of visitors to the stand arrived on Saturday, when TR Register founders Terry and Val Simpson stopped by for a chat and to pose for a photograph alongside TS2. 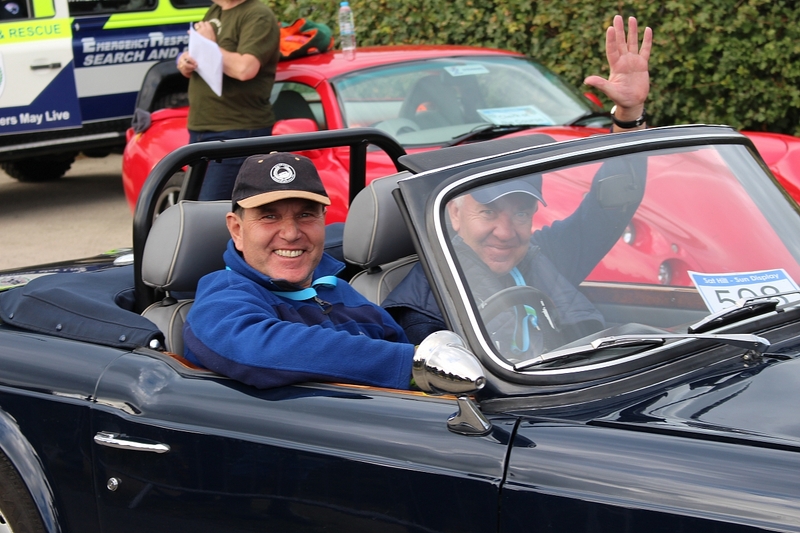 Organiser John Biggs said "It was an amazing sight to see so many people having a great time with friends and families. 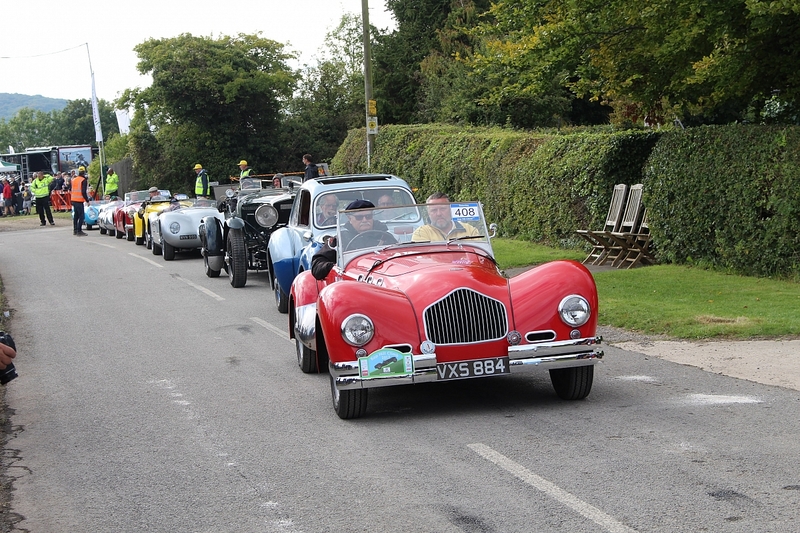 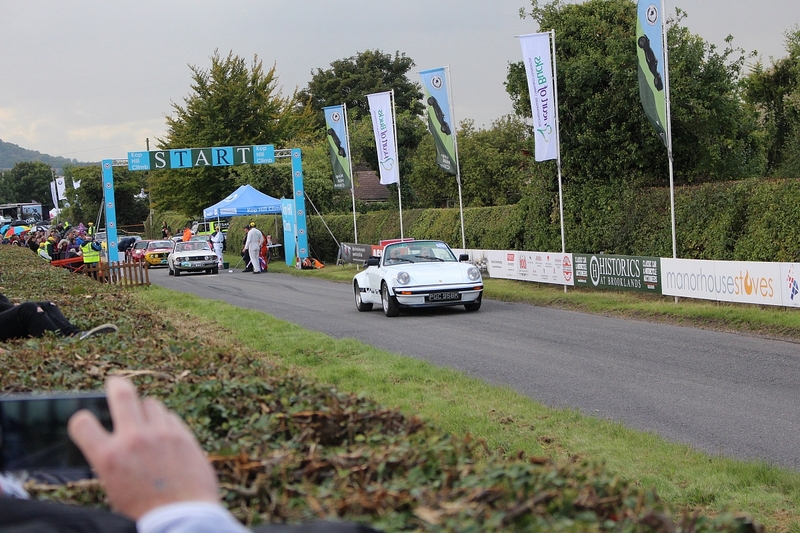 We are indebted to the hundreds of volunteers that help to put on the Kop Hill Climb weekend. 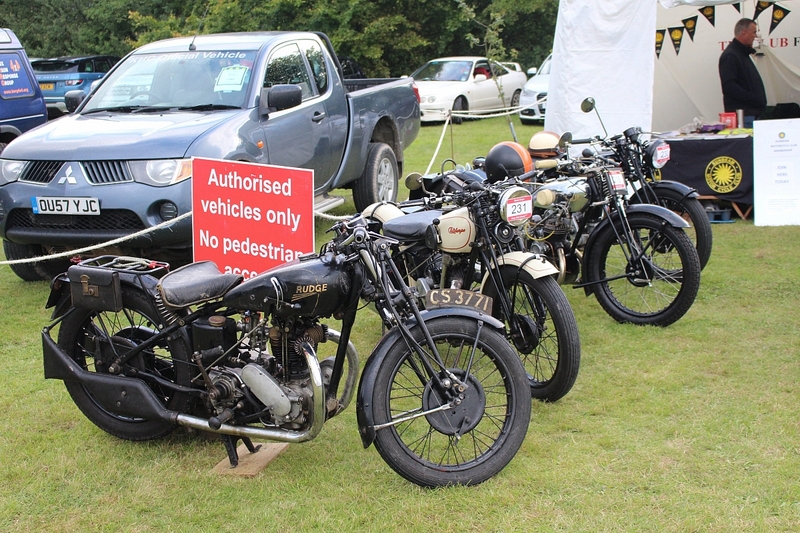 Each of them contribute immensely to the smooth running of the event, and the enjoyable garden party atmosphere. " 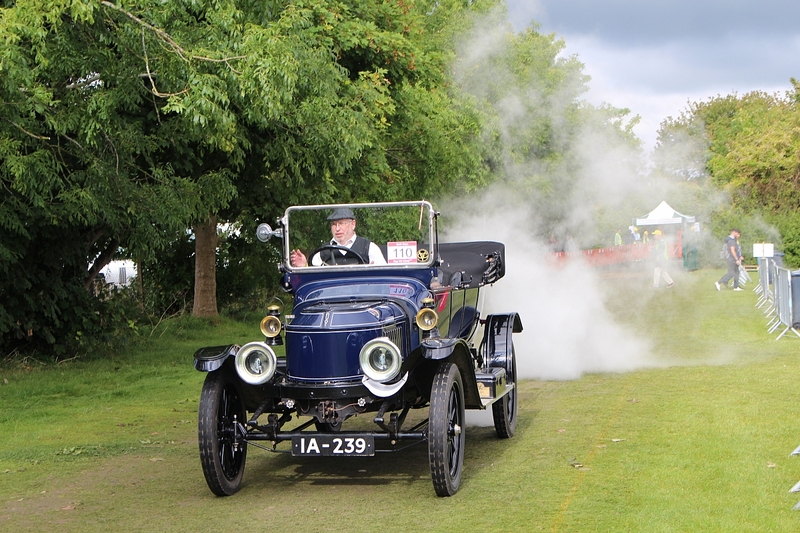 The event brings together over 400 cars and bikes each day in a non-competitive recreation of the original 1910 – 1925 races, with many more on display in the Paddock. 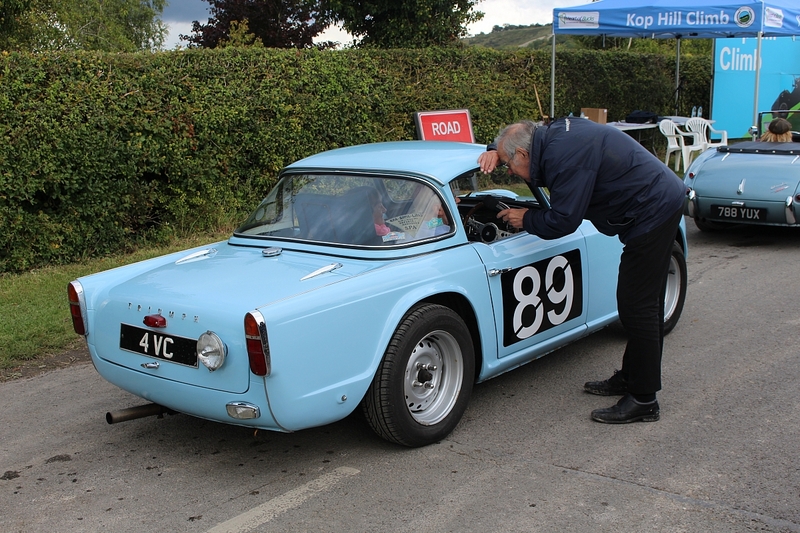 Check the website www.kophillclimb.org.uk for more details of the event, and keep an eye out for provisional dates for next year's event.